Pets for Life is a program developed by The Humane Society of the United States (HSUS) that uses innovative outreach strategies to extend animal services, resources, and information to an underserved community. By addressing the need for accessible pet care, Pets for Life helps animals by partnering with and empowering the families who care for them. 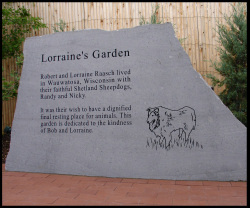 In 2012, the Wisconsin Humane Society was chosen to be a Pets for Life mentorship city by HSUS, and we are proud to be a part this program that partners with the community to keep animals happy and healthy in their homes. 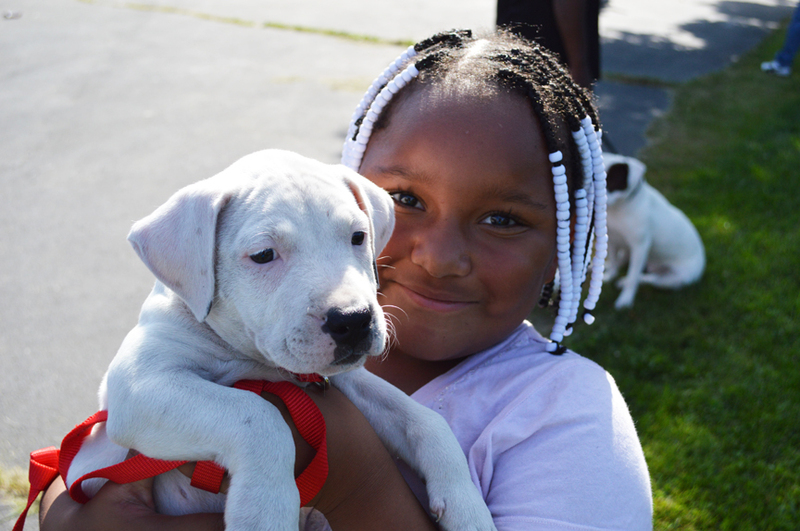 WHS’s Pets for Life program serves people and animals in Milwaukee’s 53206 and 53205 zip codes and Amani, Franklin Heights, Halyard Park, Harambee, Metcalfe Park, Midtown, and Walnut Hill neighborhoods through door-to-door outreach. Families in this community face many barriers to accessing important services for the animals they love. Our focus community does not have a single veterinary clinic, and just 9% of the animals whom we initially met were spayed or neutered. WHS provides free spay/neuter surgery, vaccines, and resources to animals in the community. Our Pets for Life outreach team builds trust and relationships with community members, makes information and resources accessible, and establishes a consistent presence in the neighborhood. The program seeks to meet community members where they are, rather than waiting for them to come to us. This approach allows us to reach those in our community who have the least access to information and services, improving quality of life for both animals and people. If you'd like to make a contribution to support Pets for Life outreach, please add "For PFL" to the comments section of the donation form. Thank you for your support. We are always seeking open-minded, positive individuals to volunteer in the Pets For Life program. Learn more about available volunteer positions here. View photos of our outreach events on Facebook. Check out an article from the Neighborhood News Service about the work our team is doing in the community, as well as the HSUS's web page about the Pets for Life program. Thank you to Athletes for Animals for helping to support Pets for Life.